In 2016, a large-scale denial-of-service cyberattack used the Mirai malware on over 145,000 connected objects like surveillance cameras or domestic routers to bring down the servers of major companies. Today, all connected objects can potentially be used to launch cyberattacks which can be devastating. It is therefore important to be capable of ensuring the computing security of smart factories, smart cities, captors, cameras, mobile phones, watches and domestic, car or health equipment. This is the core idea of the DigiTrust IMPACT project, the spearhead of the Université de Lorraine‘s programme called Lorraine Université d’Excellence. The DigiTrust project is carried by Marine Minier, professor at the Université de Lorraine and researcher in the Caramba team and Régis Lhoste, the project leader. Its aim is to build citizens’ digital trust working around four main research axes. Firstly the idea is to reinforce trust and security in cyber-physical systems which are computing systems linked to the real world like the factories of the future or organizations of vital importance like transport, hospitals or energy providers. To achieve this, the DigiTrust project will rely on the Loria‘s expertise in formal methods and the CRAN‘sexpertise in control and diagnosis theory. Alongside this, the aim is to ensure the security of and trust in all the pieces of equipment which make up these systems as well as all personal equipment. The Loria‘s expertise in cryptography and malware will therefore be essential to effectively achieve this task. Also, DigiTrust aims to reinforce trust in digital systems in which users interact on a daily basis with a system like the cloudor in collaborative environments. The project will focus on the way in which technology for storage and the transmission of information within services must remain transparent, secure, private and even decentralized. 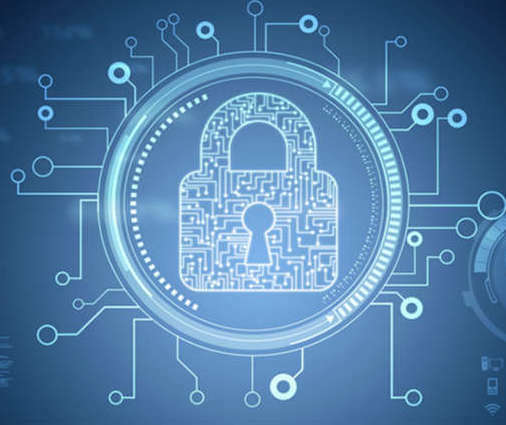 Once trust is ensured in all the equipment, the next step is to focus on the security of networks which interconnect these objects particularly through surveillance of the networks and on their associated safety protocols particularly cryptographic protocols. Cryptographic protocols can be checked using formal methods notably for complex protocols like digital voting systems. Network surveillance concerns what are called advanced, persistent threats and are in fact recurring attacks. For this, the DigiTrust project will particularly use Big Data or artificial intelligence tools alongside the new paradigms of networks like Software Defined Networks which enable the virtualization of resource networks by disassociating them from a network’s physical elements. Finally, DigiTrust will also work on trust and reputation systems in networks, particularly social networks. It will base this part of its work on research into algorithmic transparency, recommender systems, and the protection of personal data on social networks by formal methods but will also use machine learningor Big Data. The humanities and social sciences will also be involved with the study of notions of contracts from a legal and economic standpoint. This will refer, for example, to contracts covering personal data and also to trust in virtual organizations from a psychological point of view. Citizens have a core place in the DigiTrust project’s aims and they need to understand what they use to avoid being afraid of this new environment which can sometimes seem overwhelming. The DigiTrust project has six partner laboratories – the Loria, the CRAN, the IECL, BETA, IRENEEand 2LPN- and will also include local companies to promote technology transfer and more specifically to work in collaboration with government agencies and the CNIL. DigiTrust’s institutional partners are CNRS, Inriaand Université de Lorraine. This is also a collaboration project with the University of Luxembourg and Saarland University as it represents the French part of the Franco-German collaboration between the CISPAand the Université de Lorraine. Two theses have already obtained funding in the framework of the DigiTrust project. A total of around total 45 permanent members are taking part in this project consortium which will later be opened up to other researchers or companies. One of DigiTrust’s institutional objectives is to create an Institute for Digital Trust in the Great East region of France which focuses on the civil and societal aspects of this question and brings together actors from the university sphere, civil society, companies and politics. The mission of DigiTrust and the Institute for Digital Trust in the Great East region will be to ensure the construction of the Cybersecurity European Research Institute (CERI) by the Loria and our German partner, CISPA. A letter of agreement backing up this construction has been signed by Michael Backes, the CISPA‘s scientific director and Karl Tombre, the executive director of LUE. The Loria is involved in a total of four LUE Impact projects. The DigiTrust project is part of the latest wave of LUE projects alongside the OLKI project on the protection of private data. In the previous waves, the Loria was involved in the ULHyS project on hydrogen-energy and in the GEENAGE project which aims to define a new strategy for the diagnosis of and care for normal and pathological ageing.